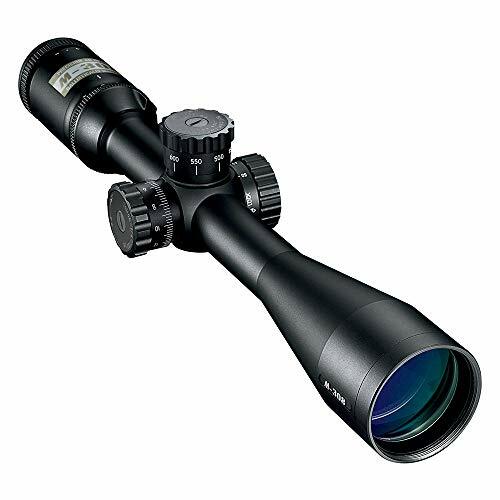 Nowadays, hunting becomes much easier with the help of special equipment, such as scope. However, it is not a piece of cake to pick up a suitable scope for you, especially when you want to maximize the efficiency. AR 10 scope has attracted much attention in recent years as it allows you to increase the accuracy of your shooting even more than 1100 yards. The benefits of AR 10 scope are enormous. You can use it for short, medium, or even long range. In this article, we have reviewed a number of AR 10 scopes, which might give you a great chance to find out what is the best AR 10 scope for you! You can have a quick review of the best scope for AR-10. Here is our ultimate conclusion of great products on the current market! Don’t skip it before you dig deeper into each scope’s pros and cons. What Is The Best Scope For AR-10? Which scope should you choose fixed or variable? How can I choose the right reticle? What size should objective lens be? 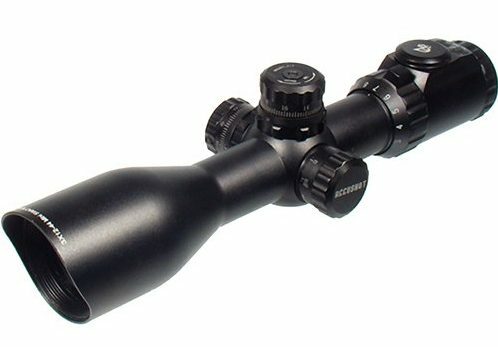 If you want to get the fullest benefits of AR 10 scope, the recommendation is to do research before paying money. It not only saves you a lot of money, but also makes you enjoy the scope later. Several factors should be taken into consideration. It is essential to remember that shooting is not a uniform activity, which means that each of us has a different style and preference of shooting. One of the first things you need to ask yourself is how you will use the scope. If the primary purpose of your AR-10 scope is hunting, you need something which can be adapted to extreme environments. Complicated and costly scopes are not a great option. Furthermore, you have to pay attention to its lightness, so you can carry it easily when you hunt in harsh conditions. Do not make your rifle a burden! Magnification is one of the most essential factors for you to be concerned about. It has to correspond to your desired shooting range. If you prefer something more versatile, some scopes have magnification which ranges from 3x to 12x. Nevertheless, it is more expensive. Objective lens diameter is the next thing you need to consider. Large objectives usually help you see objects from a long distance. Besides, they are a great choice if you have to work under hazy conditions or with low light. You cannot miss the reticle if you need to improve the accuracy of your shooting with the scope. It is possible to find many different kinds of reticles on the current market. Each type provides its own benefits. Therefore, the suggestion is to think about your use, preference, shooting tactics, and personal discretion. If you are wondering whether there is anything else essential about the scope, focal plane is the next definition you need to find out. The newest scopes on the market usually have an additional focal place. It means that when the magnification is increased or reduced according to your preference, the reticle size adjusts with the sight picture. It is particularly useful if you try long-range shots. Last but not least, it is necessary to take eye relief into consideration. A number of scopes have fixed eye relief, but in some products, you can adjust it easily. Eye relief is such an essential factor, so you had better check it carefully before picking your scope up. Do you want to have a more detailed review of each product that we label as the best scope for AR-10? Here you find everything you need to know about the most favorite scopes nowadays! If you are concerned about the quality and durability, fixed scopes seem to be a better option. Each kind has its own benefits. However, fixed scopes are generally used by militaries thanks to its consistency and reliability. If you are new to scope shooting, there are two types of reticles that you should know. For hunting, you had better choose a plain reticle which has no or very few internal markings. 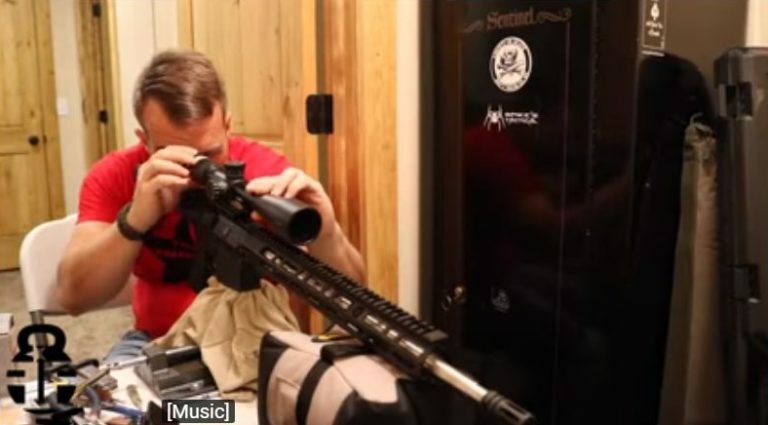 On the other hand, standard mil-dot reticles may be suitable for long range optics. Parallax can be understood as the changes the scope reticle to our eye. It occurs because there might be improper alignment between our eyes and the scope. To be free from parallax, you can try slide the head forth and back. At that time, you might see a place without black around its edges. You need to calculate between the magnification and the objective lens. They ought to be matched together. There is no single answer to this question, but the key is to have a bright view when you try the scope. In general, you need a durable scope for the accurate and powerful AR-10. You also need to be concerned about the variable magnification and take your preference into consideration. Our reviews of the best scope for AR 10 help you make decisions better and we hope you enjoy your hunting!